At the March working bee at the Edna Walling Gardens, it was pleasing to see relatively new members giving a hand at pruning, weeding and generally tidying up this area. Denise Topfer and Rosemary SImmons have now joined the group. Photo shows Mike Kelly up the ladder and Neville Douglas helping. Rosemary Simmons (who gave the very entertaining and informative March member's talk), shown in action. At the QCGC's 2018 Christmas lunch, Lindsay Robinson received the award for the "Most contribution by an individual to a Garden Club"
The photo shows Lindsay being presented with this award by Dale Ardvisson, the Curator of the Brisbane Botanic Gardens Mt Coot-tha and the Sherwood Arboretum. Lindsay was nominated by the Buderim Garden Club in recognition of his co-ordination of the Edna Walling Gardens maintenance group. At the November 2018 AGM, President John Lyon presented life membership of the Club to Lindsay Robertson in recognition of his service to the Club by co-ordinating the Edna Walling Memorial Garden working group for the last 12 years. Edna Walling garden working bees are held on the 3rd Monday of the month, starting at 6 a.m in the summer. Join Leanne Crowe & Ken Evans and others in the early morning shade. The Edna Walling Memorial Garden is located at the entrance to the Buderim Forest Park, at the end of Quorn Ct., Buderim. Edna Walling tribute, written by Brad Neal in Week end notes website 2018. Having grown up near landscape gardener and designer Edna Walling's signature gardens at the Bickley Vale estate in Melbourne, and knowing that she spent most of her life in the area, I was surprised to find an Edna Walling tribute garden on Queensland's Sunshine Coast, some 1500 km to the north. I was visiting the Buderim Forest Park to see a waterfall when I stumbled across this garden by accident. This free public memorial garden initially feels like it is located in a very odd spot, wrapping around a car park for the Buderim Forest Park. As I stepped out of my car and walked along the meandering path between the bunds of the tribute garden, I wondered to myself, why would a small community in Queensland want to pay tribute to a landscape designer from Melbourne? Fortunately, a stone marker with a plaque was able to inform me that after Edna Walling spent most of her career in Melbourne, she retired to the Buderim area on the Sunshine Coast in the 1960s, where she designed several gardens in the local area. Edna Walling passed away in 1973 and as with many artists, the garden didn't formally recognise her contributions to the local area until two decades later in 1995. The garden is only small, but is well maintained and mimics some of the key elements of Walling's style, within a sub-tropical context. 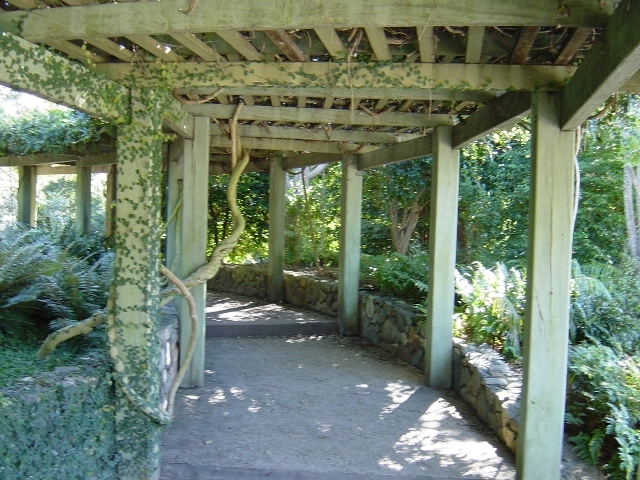 To view the garden, you can park at the end of Quorn Close in the Buderim Forest Park. For those unfamiliar with Edna Walling's landscaping style, she was known for re-creating cottage gardens that captured a sense of warmth and cosiness within the Australian landscape. Often there is something hidden or beyond in her gardens. Her curved, low stone walls and narrow enclosed laneways bordered by vegetation, only allow glimpses of stone cottages up ahead, before opening up like a new discovery. She also utilised many indigenous plants, despite drawing from a European landscaping tradition. Bickley Vale Road and Edna Walling Lane in Mooroolbark in Melbourne are public roads that you can walk down to take in Walling's Bickley Vale Estate. It is a bit tight for vehicles due to the extremely small turning circle at the end of the lane, so it is best to park on Pembroke Road and walk in. The properties are private unless opened as part of one of the publicised open days that occur from time to time. One of the cottages, Sonning, was Walling's residence. When visiting the Edna Walling tribute garden in Buderim, take some time to visit the adjacent Buderim Forest Park, which was the main purpose for the car park that houses the garden. There are a few articles on Weekend Notes with personal impressions of visiting Buderim Forest Park and its main feature, Serenity Falls. Monthly working bees are carried out by club volunteers at the Edna Walling Garden adjacent to the entrance of Buderim Forest Park (Quorn St., Buderim). The garden has to date been beautifully maintained by Lindsay Robertson and his team of volunteers. However, Lindsay is calling it a day and Ken Evans, Tom Crerar and Leanne Crowe will now maintain this area and would like some new volunteers. They want to meet on the 3rd Monday of each month, and at 6 a.m. during the summer months. The Edna Walling Garden group met in August 2018 to carry out their monthly maintenance of the Garden. It desperately needs rain but at least there were no weeds. Sunshine Coast Council Parks Community Support Officer Trevor Bartholdt paid the group a visit to see how things are going. Pictured are Arch Cook, Richard Scott, Maxina Williams, Bev Robertson, Trevor Bartholdt, Ken Evans, Heather Scott and Group Co-ordinator Lindsay Robertson. Lindsay Robinson heads up the dedicated little group which meets on the third Tuesday of each month at 6.30 am in the cooler months. In May we were pleased to welcome new Club member Ken Waugh to the group and we planted some Liriope (a variegated ornamental grass) and carried out general maintenance. We now have access to the Council store room so we can put out some witches hats for our safety and we are also able to store our hose there, which is a considerable improvement on the bucket brigade we’ve had to make do with previously. 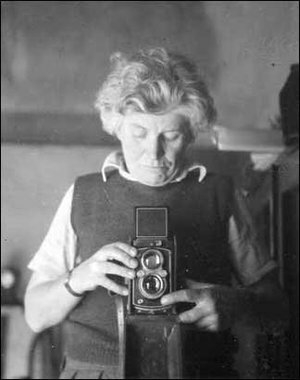 The ABC produced a wonderful article on Edna Walling in 2011, her timeline, gardens she designed, quotes from people she knew and other items about this remarkable woman. Click on www.abc.net.au/walling for this great article and information on her. Thanks to former President, Gwyneth Sadgrove and her husband Robert who approached the council for land to develop this garden memorial, and Mr. Eaton, Rita's husband who did much of the early planting, we now have a lasting memorial to this great lady who designed some of the most wonderful gardens in Australia in the early part of the 20th Century. Gardens for Dame Nellie Melba and Dame Elizabeth Murdoch to name just a couple. She spent the last 6 years of her life in Buderim in Bendles. This sweet little book is available in the BGC library. It is written by Esme Johnstone and is a personal account of Edna Walling's life. It is worth reading this little gem.